Our standard cleaning process for a fireplace flue would to begin by coming into the home tarp off the firebox so that no soot escapes into your home. We would then use rods and brushes and sweep from the bottom to the top of the chimney. As soon as the flue has been properly cleaned the technician will then use a high powered vacuum, remove any soot that has been brushed down. For a furnace flue cleaning, the technician will go into the basement and disconnect the pipe from the furnace to the flue and vacuum 2-3 feet below that connecting pipe. When this process is completed, the technician will make sure that the pipe is properly resealed to the flue. 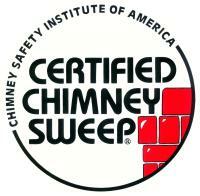 *Note: If for some reason we could only access the chimney from the roof to do the sweep, the technicians are trained to do the full sweep from the roof of the home. That question really depends on how often you burn, what you burn and how you burn. A wood stove typically needs to be cleaned more often than a fireplace because most homeowners use wood stoves as a heating source where as a fireplace is used mostly for a decorative purpose. A good rule is every cord of wood. Oil and gas should be at least inspected annually. Gas burns clean, but lets off a lot of moisture so a professional chimney sweep is going to look for any debris that could fall into the chimney, cracks in the liner, or even animals nesting in the chimney that could block up the flue and cause carbon monoxide to enter the home. Lean about the steps of a chimney sweep.